Live Your Southern Oregon Dream Now! The Right People with the Expertise & Tools Required for Complete Professional Real Estate Service. Serving Both Jackson and Josephine Counties! Whatever your real estate needs, our agents are experienced to help you reach your goals with confidence. We understand Home is Where the Heart is. We work weekends and evenings by appointment to help you reach your goals in a timely way. Professional Real Estate Service is our business. 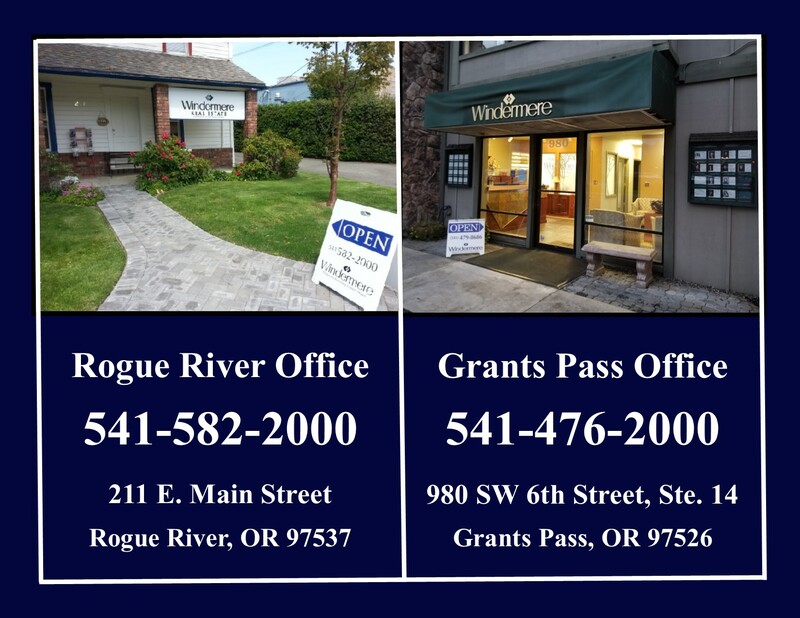 While visiting our website, you can access the most current real estate data and search for homes throughout the western U.S. And when the time is right, feel free to contact us (See "About Us" tab).